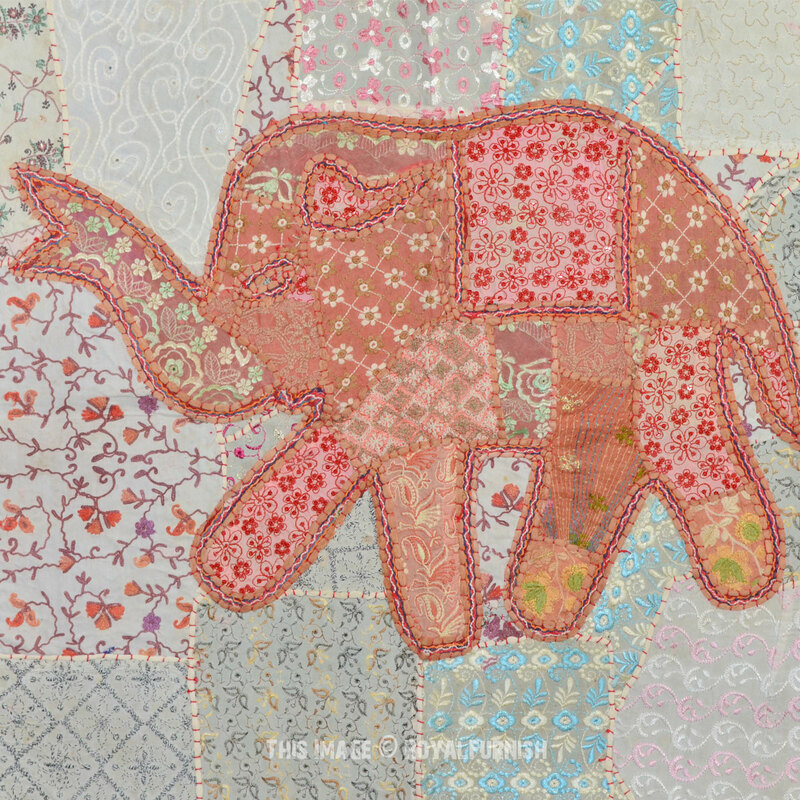 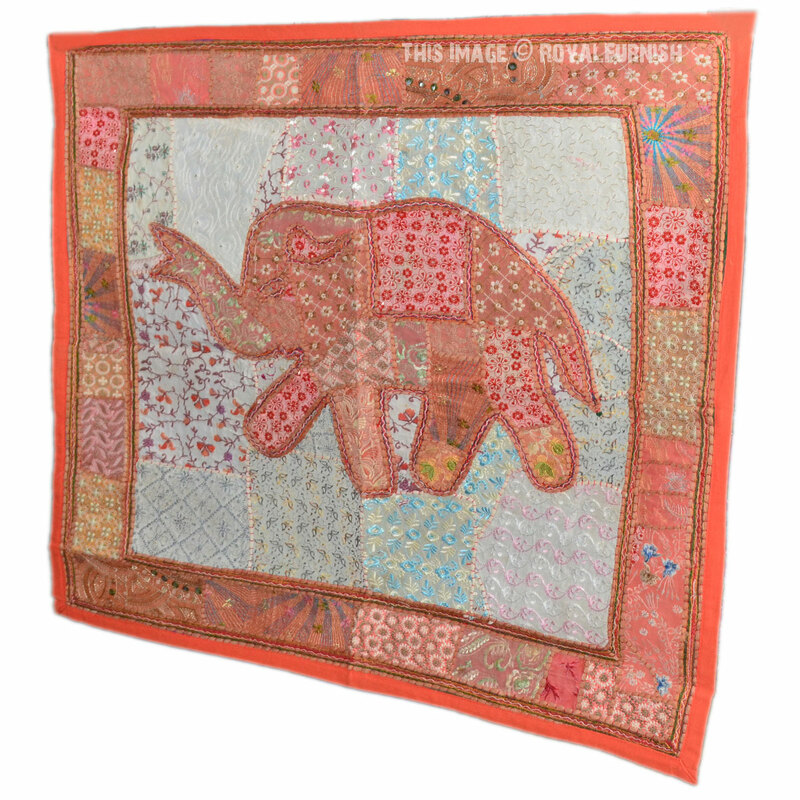 Eye-catching India vintage elephant wall tapestry made with recycled fabrics Indian suit, sari. 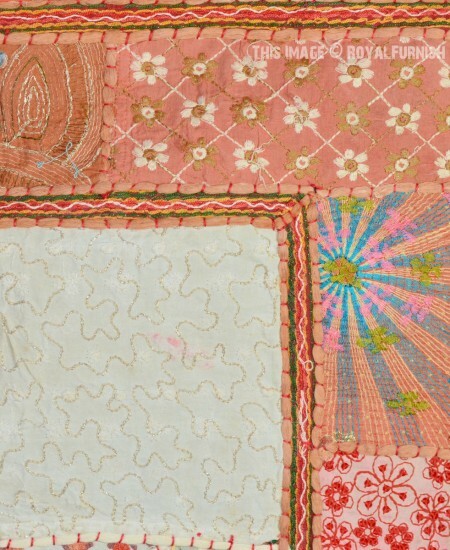 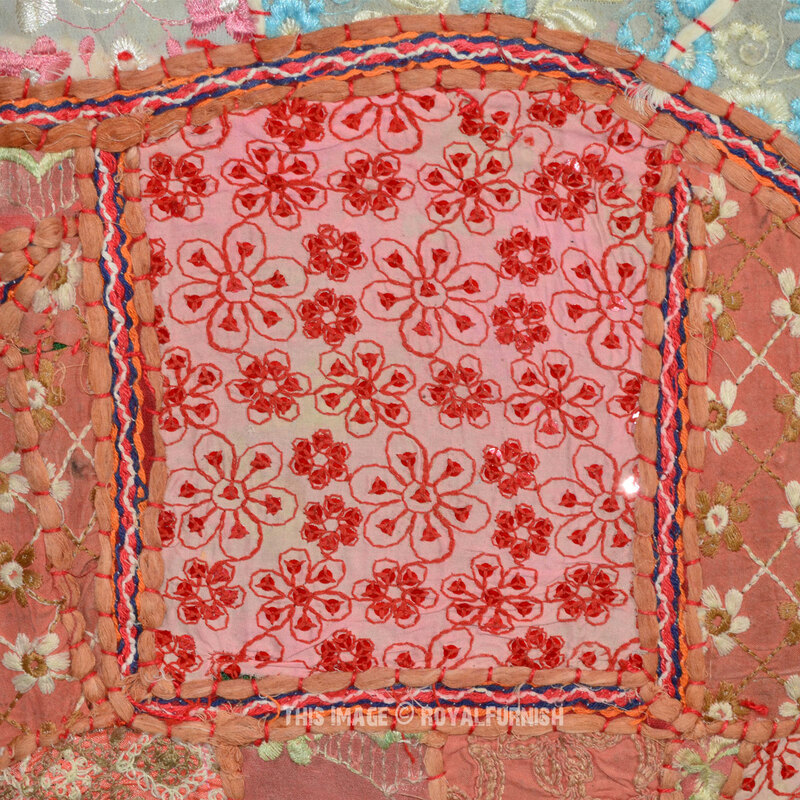 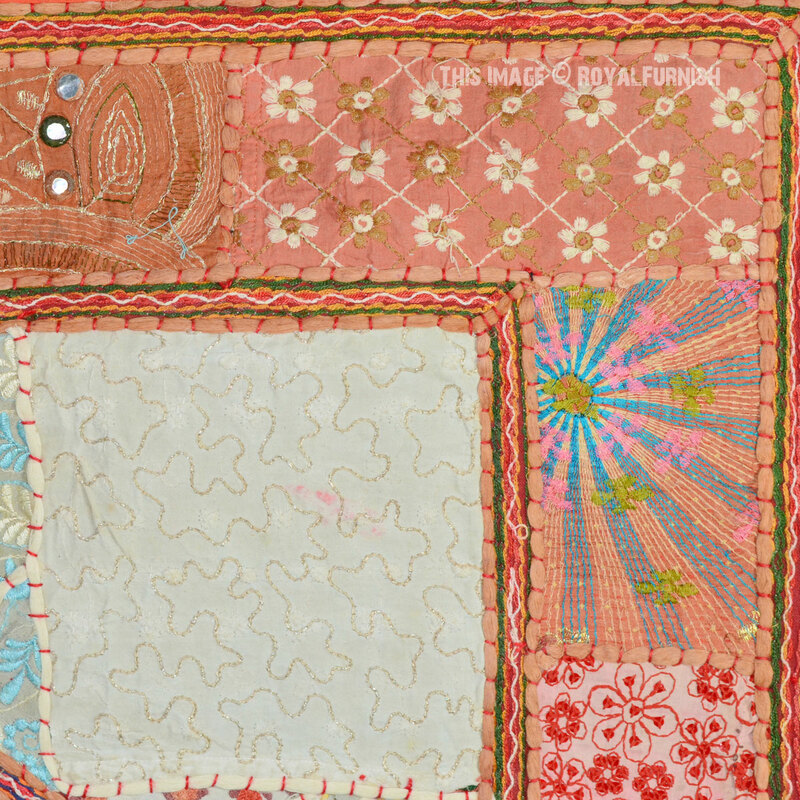 Multi color patches are hand sewn and stitiched perfectly together with hand embroidery and backed with cotton stuff. 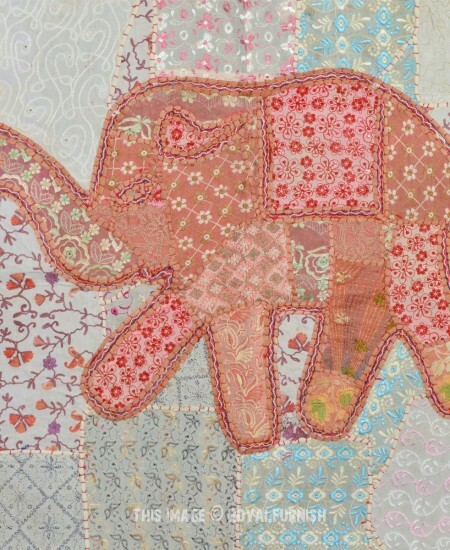 The tapestry features multiple elements which makes it attractive and adorable. 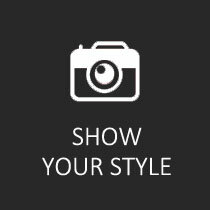 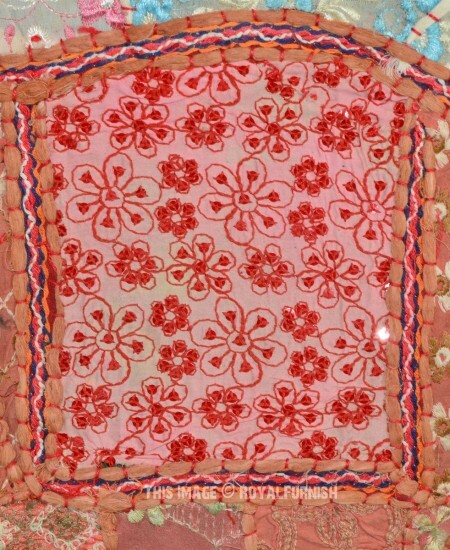 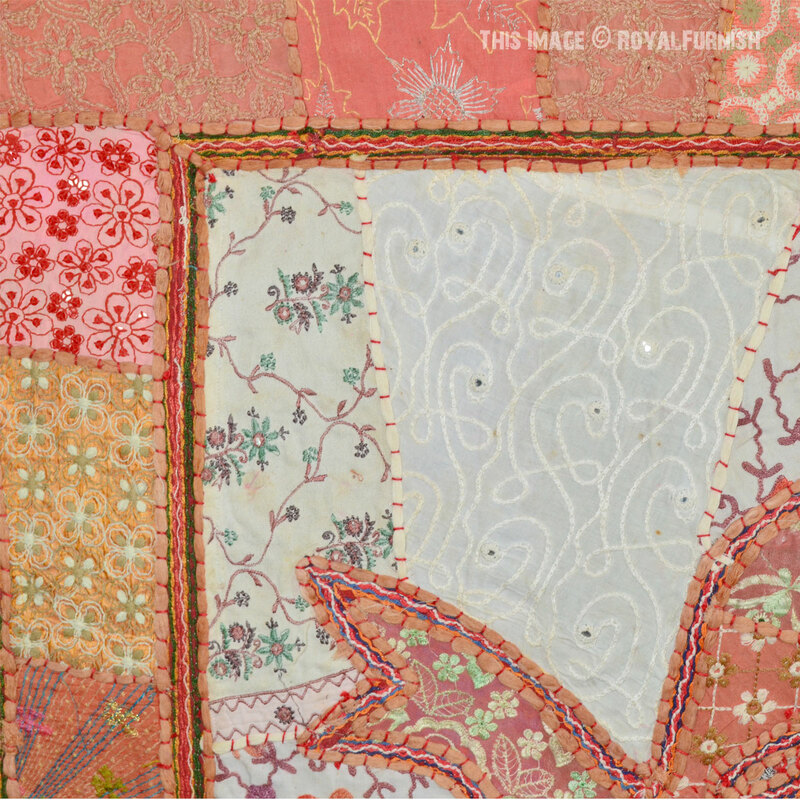 Hang it on any room living room or bed room wall to add vibrant, refresh and traditional royal look to your home. 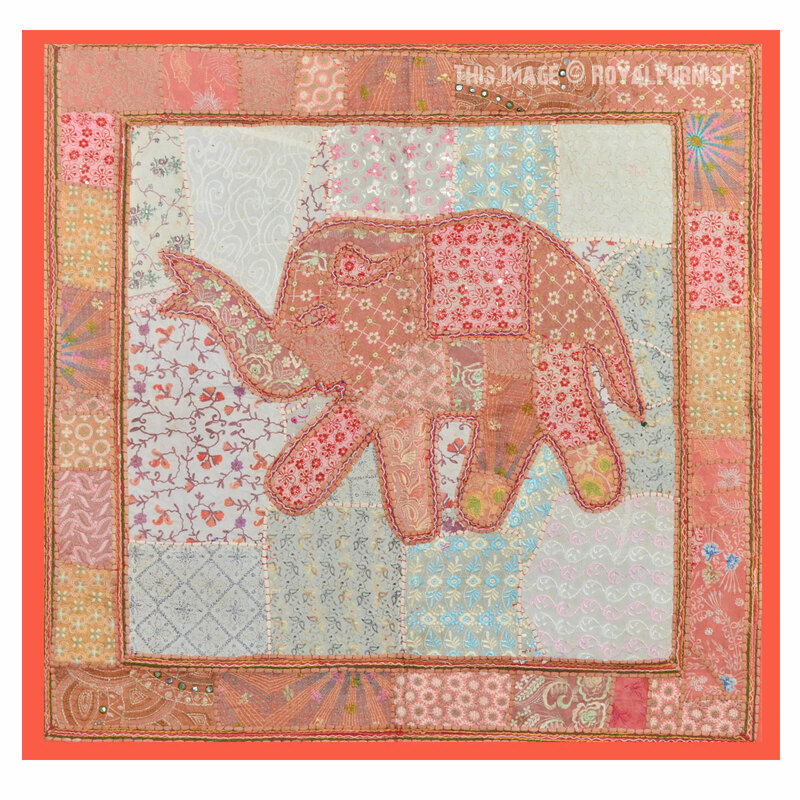 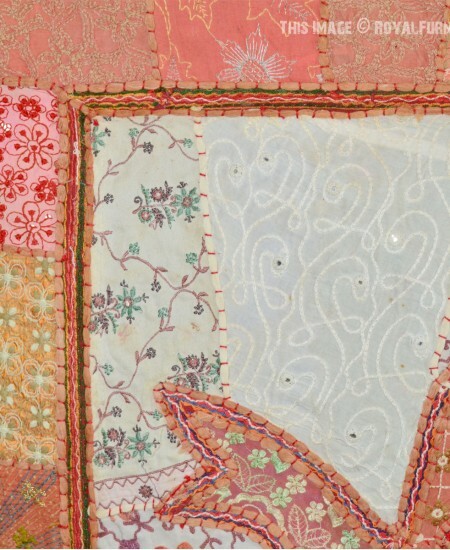 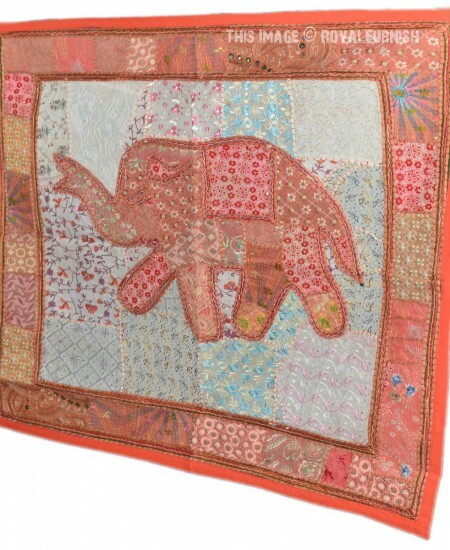 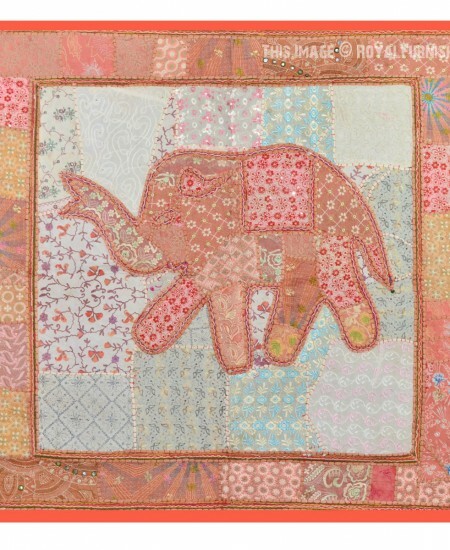 Orange Indian Elephant Patchwork Tapestry Wall Hanging added to the cart!